I have been utterly obsessed with Korean beauty regimens for years. The more I researched about what some call "glass skin," the more I wanted in. I’m not a big fan of a matte skin tone and heavy makeup, so I'm more than intrigued by a skin routine that can make my skin need less makeup at forty-four. I was completely sold on the routine when I was face-to-face with a microblading client and she blurted out, "Okay! What are you doing to make your skin look like that?" Hold on to your hats, friends. This basic regimen has roughly ten steps, day and night. I know, it sounds like a total career move, but I've found that it doesn't take that much time and it evolves into something you can customize. Some days you can do less depending on your time and your skin needs and some days you can do more because you've found something amazing that you want to throw in. I did it for thirty days and I can wholeheartedly say that it's amazing. As an esthetician, I can tell you that it feels like a mini-facial at least once daily. Most importantly, it feels like "me" time for mental health. Before you start worrying that I'm suggesting you spend hundreds of dollars on products, know that most of these items were already in my own beauty bag. Don't get me wrong, I did have to hunt for a few things (like the Galactomyces 95 by Cosrx and the Laneige Sleeping Mask), but they were the most interesting additions to my skincare routine and I won't be abandoning them anytime soon. While researching K-Beauty staples, I discovered that the "essence" step is key. Essence, as it was explained to me, is somewhere between a toner and a serum. I looked into the ingredients for this much-adored product and found that the most popular was "galactomyces" (also known as Pitera), a nutrient dense yeast that is a by-product of fermented saké (yeah, the rice wine you order at your favorite Japanese restaurant). Studies show that after using an essence product, the tester's skin is significantly improved. The improvements include a measurable reduction in oil, keratosis, and comedones while also having a marked improvement in overall hydration. Giveaway Has ENDED To help one lucky winner get started in their own regimen, Gene’s Health Food and Derma-E are giving away a basket of goodies sponsored in part by Derma-E. Click here to learn how to enter! 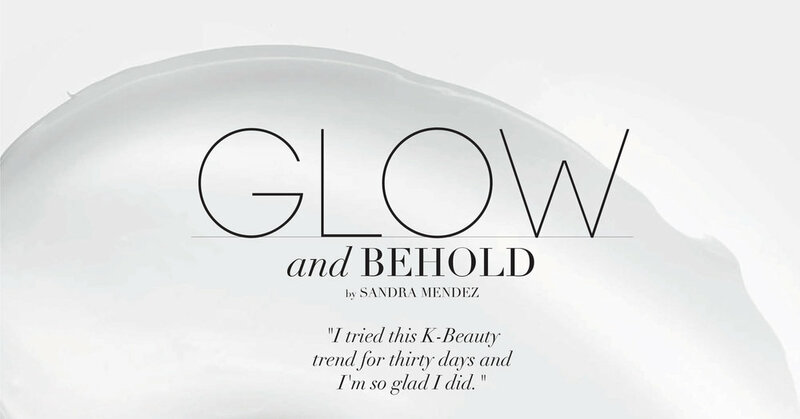 To see a how-to video on this K-Beauty facial regimen, visit Sandra’s blog, Beauty and the Momzilla.